A simple to use, 2 in1 product, fabulous results and a real time saver in the salon. 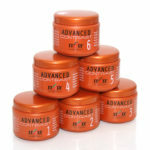 Advanced Contrast simultaneously lightens and colours, either on natural or previously coloured hair. Combining the bleaching and deep conditioning action of easily blond with our vibrant light reflective pigments. Mix with Oxily 10,20,30 volume depending on the level of lift you desire and your base colour. This new tube bleaching cream, containing argan oil and jojoba oil, lifts up to seven levels safely and in optimum condition. The oils work to protect, nourish and restore hair fibers for impeccable results and maintenance of hair safety, even creating shine. 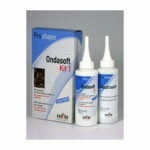 It is designed to adhere perfectly to the hair for more uniform results, and is suitable for all bleaching techniques. 5 VIBRANT AND INTENSE SHADES from orange to purple, to customize any look. NEW FEMININE REDS that make women unique and special. Express your creativity and allow yourself to be captivated by the warmth of red. DELYTON ADVANCED is a delicate tone-on-tone coloring ammonia-free. 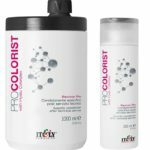 The Phyto Conditioning Complex® provides a high hydration action and elasticity to the hair, while Silk Proteins give softness and smoothness.The Exclusive Color Pigments ensure a perfect color balance ideal for all desired reflections. Delyton Advanced can gently color all types of hair in a range of luminous and intense reflections. Delyton Advanced is also indicated on freshly permed hair. 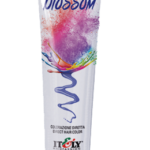 The combined application with Delyton Advanced Activator allows to obtain a soft cream easy to apply by ensuring an intense but at the same time delicate action. Delyton Advanced 47 shades of quasi colour that colours and nourishes gently. Use to camouflage first greys and create beautiful natural hair colours . Delyton’s ammonia free, deep shine formula eminates from the vegetable bio-lipid complex that combined with keratin protect the scalp and give softness and flexibility to the hair. Silk proteins penetrate deep into the hair improving hydration and elasticity. Easily BLOND 2020 is an innovative bleaching and decolorizing powder formulated with micro-granular technology. Easily BLOND 2020 optimizes the size of the powder particle and reduces the (already minimal) dusting during mixing and allows for more uniform consistency and distribution of the product. For sophisticated chic BLOND highlights, or the daring glamour of PURPLE. For anyone who can’t resist the attraction of bright, flaming RED or wants to have fun with light and shade contrasts of warm hues of COFFEE and CAPPUCCINO. Free your creativity with Light+Passion Eight tempting hues! pH REBALANCING MILK BLONDE SEALER is a conditioning treatment which helps restore the pH of the scalp and hair. BLONDE SEALER is ideal to use after all bleaching services and is enriched with the exclusive &-PLEX Bond Repair. 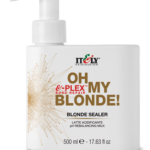 WHAT IT DOES: BLONDE SEALER brings out shine in blonde hair and enhances the brightness of bleached hair, adding structure and body. 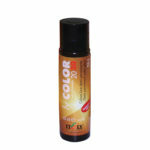 When used after BLONDE TONER, it stabilizes the color pigments. 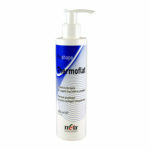 Ammonia free toner cream for bleached hair. WHAT IT DOES: Available in a palette of 5 tones which can be mixed together. 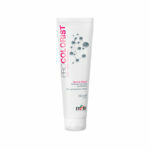 Ideal for neutralizing unwanted highlights or creating pastel effects. 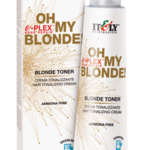 BLONDE TONER, enriched with the exclusive &-Plex Bond Repair, offers a unique range of completely customizable colors based on the customer’s preference and hair type. 5 easy-to-use toners that provide customizable results. FREE HAND TECHNIQUE HAIR DECOLORIZER Exclusive ultra-compact decolorizing powder, enriched with the exclusive &-Plex Bond Repair, ideal for free hand lightening techniques, such as balayage, ombre, shatush and splashlight. WHAT IT DOES: Its special formula, once mixed with oxygen, takes on a clay effect, meaning it can be used without foil. The bleached strands do not interfere with the rest of the hair, for a unique result with a sun-kissed effect. Perfect for use on natural hair or dyed hair in shades of blonde, brown or red. 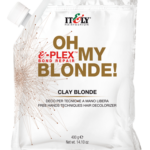 CLAY BLONDE allows for lightening of up to 6 shades. AMMONIA FREE HAIR DECOLORIZER Ammonia-free, delicate decolorizing powder, ideal for natural or dyed hair enriched with the exclusive &-PLEX Bond Repair. WHAT IT DOES: DELY BLONDE is a compact, micro-granular decolorizing powder, which lightens up to 6-7 shades. 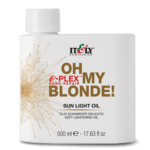 DELY BLONDE does not swell and is easy to mix and apply. EXTRA PERFORMANCE HAIR DECOLORIZER Innovative, ultra-performance decolorizer enriched with the exclusive &-PLEX Bond Repair, which eliminates yellow residue when lightening. WHAT IT DOES: Ideal for lightening techniques using foil or thermal strips to achieve higher lightening results of up to 9 shades. ICONIC BLONDE is a compact, microgranular, decolorizing powder. Does not swell and is easy to mix and apply. COSMETIC HAIR DECOLORIZING CREAM Multi-service decolorizing cream ideal for stressed hair, enriched with the exclusive &-PLEX Bond Repair. WHAT IT DOES: Its delicate formula provides gentle, safe and reliable hair lightening of up to 6 shades. The creamy and compact texture allows excellent adhesion to reveal the blond color; it doesn’t swell, it is easy to mix and apply with any technique. SOFT LIGHTENING OIL Extraordinary, ammonia-free lightening oil, enriched with the exclusive &-PLEX Bond Repair. WHAT IT DOES: it lightens up to 2-3 tones for a natural and balanced result. 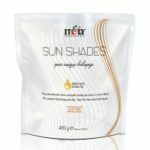 Use to achieve a variety of effects on hair based on the technique: Applied on the ends, it gently lightens up to 2-3 levels for a beautiful “SUN-KISSED” effect. Can be used on the base for a “SWEETEN THE BASE” effect. Provides a balanced and neutral lightening result. If applied to the whole head, you obtain a shiny blonde and a wonderful natural lightening for a “SHINE & GLOSS” effect. 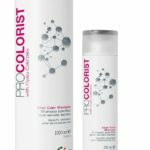 Stabalizing oxidizing emulsion with balanced pH for coloringand decolorizing the hair, enriched with ACPComplex and emollient and conditiong substances to ensure a more luminous color. 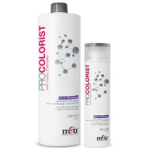 PROBLEM - Hair recently colored or bleached SOLUTION - AFTER COLOR SHAMPOO - Specific shampoo after color or other services Sulfate and paraben free mild shampoo. Designed for post technical service with exclusive Hyalu Colorplex. 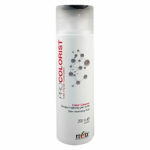 After Color Shampoo prolongs color intensity and improves brilliance. Hair is soft, shiny and manageable: color remains protected for long-lasting shine. HOW TO USE: distribute evenly on wet hair, massage and rinse with warm water, if necessary repeat the application. Proceed with Revivor Pro. 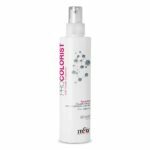 PROBLEM - Hair with residue from styling and technical build up SOLUTION - CHELATING SHAMPOO - Shampoo specific pre technical service Exclusive shampoo free of sulfates and parabens for use as pre-technical dual-action service. Removes excessive styling build-up and neutralizes the deposits of previous technical services before any new service. 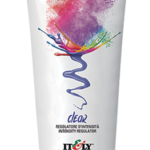 Guarantees a perfect cleaning of the hair to deliver uniform penetration of color. The hair becomes softer and color lasts longer. HOW TO USE: distribute evenly on wet hair, massage and rinse with warm water, If necessary, repeat the application. 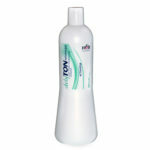 PROBLEM: Yellow hair SOLUTION: Silver Shampoo Eliminates unwanted yellow tones. Neutralizes graying hair's tendency to yellow. Brightens the color and adds luminous silver highlights to gray or bleached hair. This amazing multi-functional and biphasic, no rinse solution contains 10 restructuring actions. With Hyalu Colorplex, color is always protected. XTRAORDINHAIR moisturizes the hair fiber, restructures, gives body and volume, feeds the stem and detangles without damaging hair. For dry hair: protects color. Provides shine and conditions hair while preventing split ends. HOW TO USE: shake well before use and spray on damp or dry hair. Do not rinse. No. 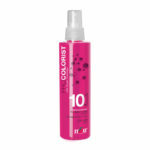 1 (Red) for natural and coarse hair. No.2 (Green) for processed hair. Once it is mixed with oxygen, its special formula based on Argan Oil, Jojoba Oil and precious ingredients of natural origin becomes particularly chalky so that it can be used without foil. The bleached locks do not interfere with the rest of the hair for a unique result and an effect that is typical of sun lightening. Perfect for use on natural hair or dyed hair with blond, brown or red tones. With Sun Shades you can lighten hair up to 6 tones while keeping the hair’s fibre intact and protected. Have fun creating a unique and personalised look for each client in total safety and with protected hair. A precious elixir of nourishing and illuminating natural oils. 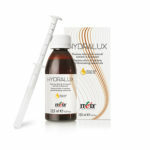 Hydralux protects hair leaving it soft and silky. Jojoba Oil protects and nourishes the shaft while Argan Oil moisturizes and adds shine. Ideal used in the bleaching mix to protect the hair, and also perfect used just as an oil after drying to add shine to the lengths. MODE OF USE Depending on the length of the hair take 2-5ml of elixir with the dosing syringe and add directly to the Sun Shades + oxygen mix.